Maintain heavily overgrown areas, pastures, trails and wildlife food plots with a Plotmower Rough Cut Mower. Attach to your ATV, utility vehicle or small tractor and experience the Plotmower difference. The Plotmower provides the highest horsepower and heaviest built deck in the pull behind rough cut market. Pictures simply do not do justice for the sheer size and build of these mowers. 57" cutting width with 23 HP electric start twin cylinder engine. 44" cutting width with 17.5 HP electric start single cylinder engine. Capable of cutting 2" diameter brush and saplings. Twin blade design for a mulching effect and reduction in discharge bunching. Cutting height can be adjusted from 2-8". Four tire design for added support on rough ground. Also all four tires are positioned within the width of the deck allowing for close trimming. 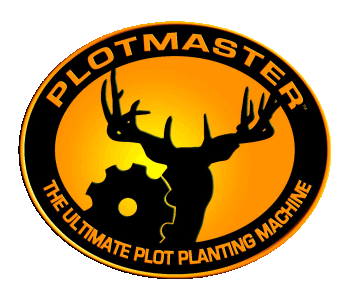 Optional kits available to customize your Plotmower for a variety of conditions. The Electric Lift Kit consists of all of the mounting hardware, brackets, electric actuator and wiring with remote control panel.